Welcome to Wow! I woke up to rain this morning even though the forecast was 40% chance and scattered. Well, it came earlier than I thought it would and I didn't have the deck furniture covered. So in my jammies I ran out and grabbed all the pillows and cushions and threw them in the sun room. It had stopped raining just long enough for me to do this and then a heavy downpour came. Whew! I know the stuff is all made for outdoors, but it will last longer and stay new looking if it doesn't get rained on. Our forecast is rain all week, ugh and I am a sunshine loving gal. We have had unseasonably lower temps and humidity and we sure did enjoy it last weekend. Photos of something new on the deck coming next week. Enough talk, let's get this party started with a few features. Cute table idea by Marsha's Creekside Creations to be planted afterwards. My Love 2 Create transformed some shutters and a table into this cute potting bench. I love to listen to the birds outside and JBigg's Little Pieces was lucky to get some close ups of this cutie on her feeder. 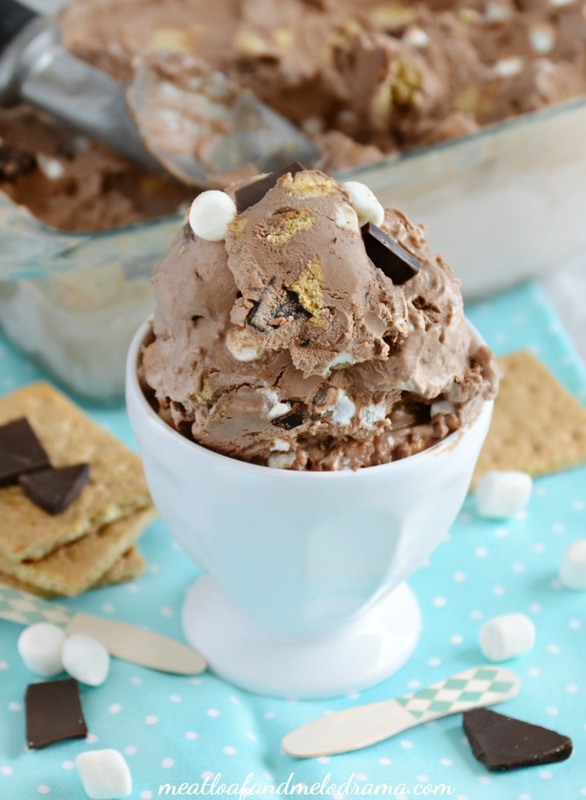 This no churn homemade ice cream by Meatloaf and Melodrama sure looks yummy! Thanx for such a great party Kim! Hope your week is going well. Glad to be able to join in this week, thanks for having us, Kim! I agree on bringing the outdoor cushions in out of the rain - we have a medium sized deck box where I stuff ours into when not in use. (Protects them from fading in the sun as well) Hope you get some sun soon so you can enjoy your fantastic deck area. Thanks for hosting this party! Yay looking forward to this link up today. Thanks so much! I look forward to blog hopping! I have run out in my pj's on more than one occasion to rescue my pillows. Last year, I finally invested in covers, and annoying as it is to take them off and on, it's better than waking up to soaking wet cushions! Thanks so much for the party! Les saveurs du printemps ont aussi celui de la pluie... Vous avez raison de sauver des eaux vos coussins extérieurs. J'aime beaucoup visiter votre univers qui me permet de voir un tas de choses merveilleuses. Thank you Kim for Wow Us Wednesday 274. Hope your weather clears soon. Thanks so much for hosting! Fabulous bird photo! What was it telling you? Thanks so much for hosting this fab party! It's been cloudy and rainy all week here as well! Thanks for hosting again, Kim! Enjoy the rest of the week! 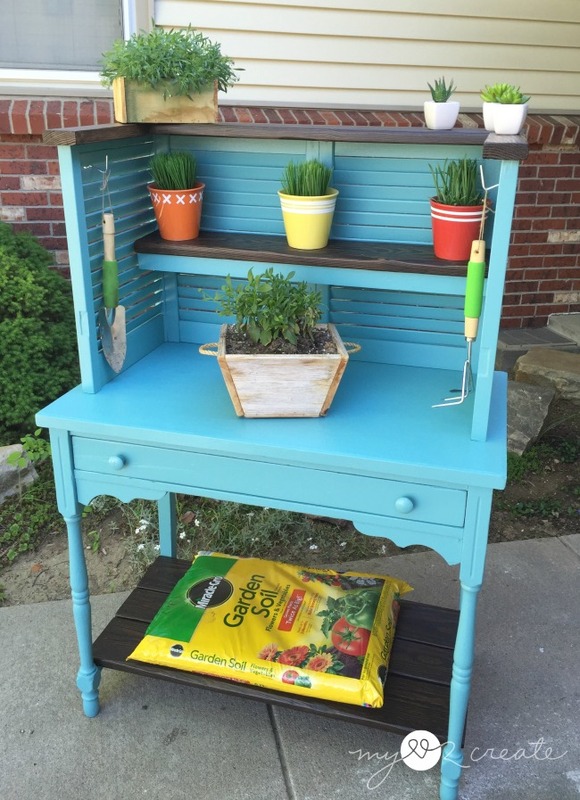 That's a cute potting bench, and what a way to repurpose! Thanks so much for hosting us. Heading off to visit some links! Great features...Have to try that no churn ice cream...thanks for hosting! Just call us Rain in Richmond, we've had so much for so long we're all quite tired of it! Great features, can't wait to visit them, and thanks for hosting the party. it's the same here in France, temperatures are much lower than they should be for May (we're paying the price for a very warm winter!) and it's raining today and I know we need the rain because despite being cool it's also been so dry, but I still much prefer the sun!!! 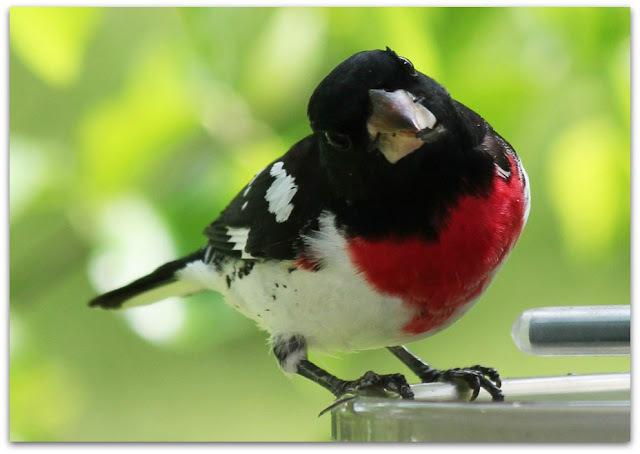 Great features and we just found one of those cute birds at our feeder. Thanks for hosting! The gardening link ups are giving me lots of inspiration this week! Thanks for hosting your fabulous weekly party. It's an honor to be featured on your blog.